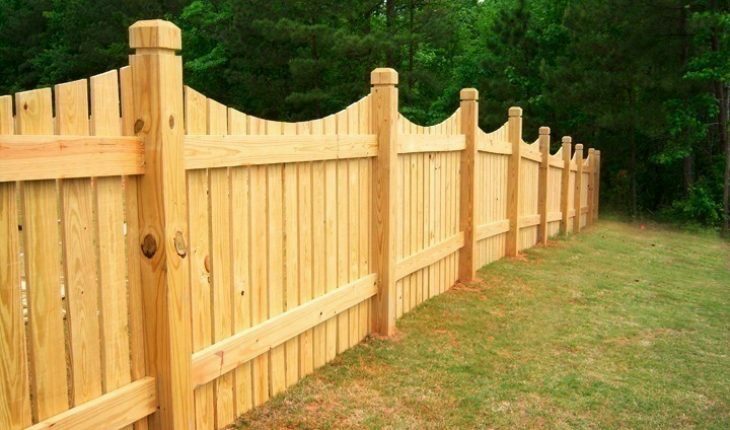 Wooden fences are usually used as an indication of someone’s personal territory or as a beautiful way to protect a selected area; this can be a blossoming garden or otherwise. Either way a wooden fence can be very effective way of protecting and preventing entry to an area. This building project uses very little material which can be easily sourced so follow the steps given below to make your very own wooden fence. When you locate the area where the wooden fence will be built, make sure the land is leveled, if not you may have to use top soil to level it off. Make a line to signify the parameter of the wooden fence to know the guidelines of the fence, where it starts and stops and how many corners it will have. Try to determine the height and width of the fence; this may differ according to what the fence will be for. Dig the holes about 2 feet deep into the ground using the post hole digger for each posts. Insert the wood posts (end posts) at each end and corner of the fence where the different sections of the fence will connect. When the posts are in leveled and in correctly, fill the hole with concrete to keep the posts firm and steady then allow the cement to dry. You can use either premixed cement or mix it on your own. If the fence will be made extremely high, consider digging the hole deeper. Each wood posts should not be too far from each other. For this example we will make each post approximately 8 feet from each other. Start making a builders line from each end post to the other, at an equal height above the ground. Then dig intermediate holes in alignment with the fence and give you a depth so that the posts will all be the same height. Use the tape measure to calculate and then use the table saw and cut out the length of the lumber panel pieces. Start putting in the lumber panels along the horizontal position across each post, from one to the other. Use the power drill to make the holes and use the deck screws to attach them in firmly. Use 1 – 2 screws for every 12 inch running down the wood post. 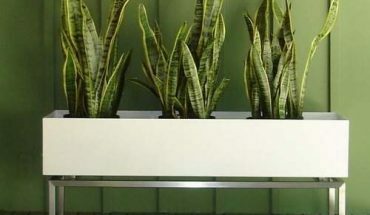 Place one panel at the top and at the bottom and depending on the height, you may need one across the middle section. When laying the lumber panels, take into consideration where the gate or gates will be so the necessary spacing can be provided. To make the vertical board piece of the fence, take a 1*6 lumber wood (the stringer) and use the power drill, nails and screws to install them to the lumber panel from post to post. You can choose whether or not would like to leave spaces between each piece of wood according to how you would like your wooden fence to be designed. Repeat this step until you have installed the boards all around the entire fence. Cut the pieces for the gate with the table saw and assemble it to the size you wish. Install the hinges using the drill to make the holes and use the screws to fasten them in. Put up the gate and add the latch to it so the gate can be closed properly. 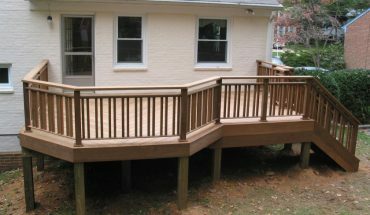 Paint the fence with a good waterproof sealer to protect it from the constant sun, wind and rain. Shake and pull the wooden fence to test it for sturdiness. 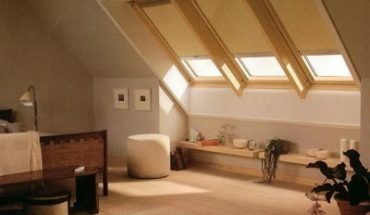 If you are not certain or there are no clear indications of your property line, you should get in contact with the necessary community authorities to locate this. Get information to know if there are any forms of electrical or plumbing lines along where you plan to erect the wooden fence, so that no damage is done to these fixtures. If the area where the wooden fence is being built is not leveled it may cause the fence to slant and eventually not stay up for long. You may have to use scrap lumber to support the fence posts on each side when it is being installed to prevent it from leaning. 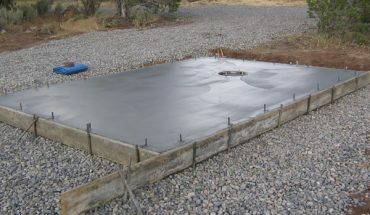 When purchasing the concrete, consult an expert and explain the use of the concrete so they can recommend the best type of concrete for your building project. 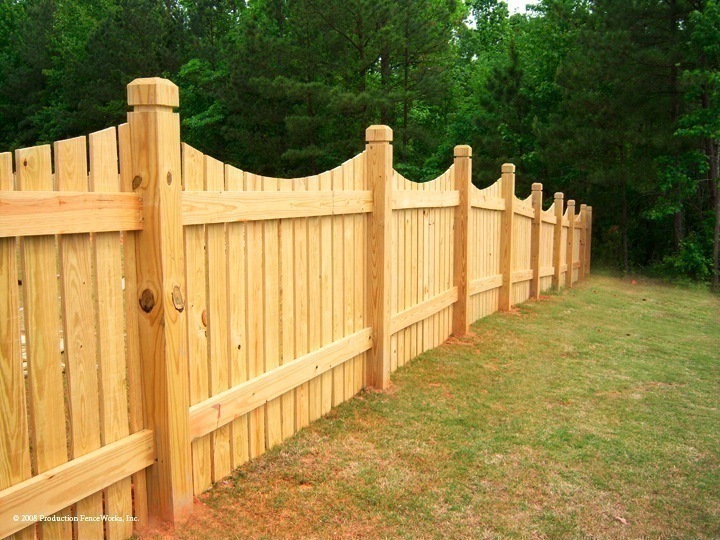 Buy extra wood in case the fence needs to be repaired at a later date, this will prevent you from having to find the exact same type of wood at a later time.